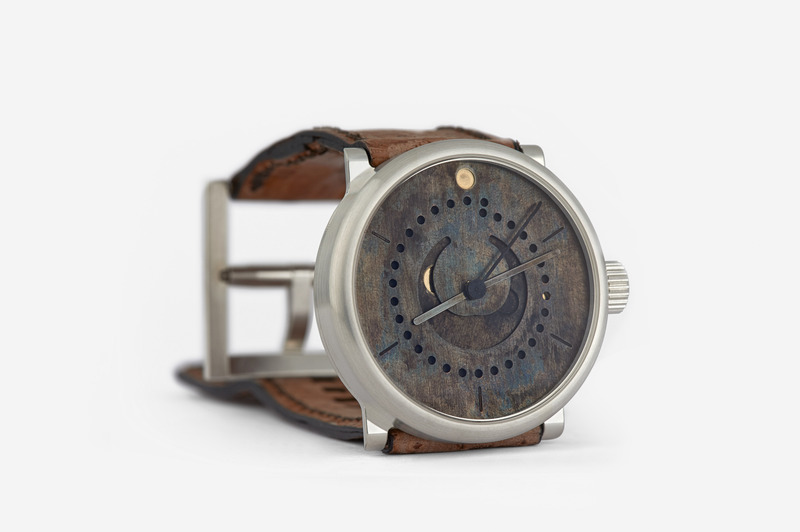 This watch comes straight out of our company history. It was manufactured for a Canadian client who seems to have carefully studied the stories about ochs und junior’s prototypes. On December 8, 2009, we wrote about the ochs und junior prototypes. The last watch in this series manufactured by Ludwig Oechslin had a strikingly patinated dial made of German silver. 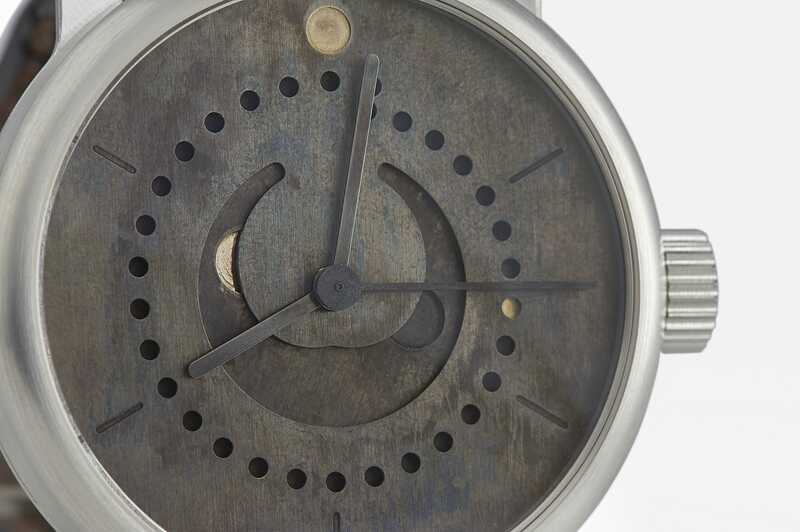 Oechslin’s annual calendar prototype served as an inspiration for the design of the moon phase watch shown here. 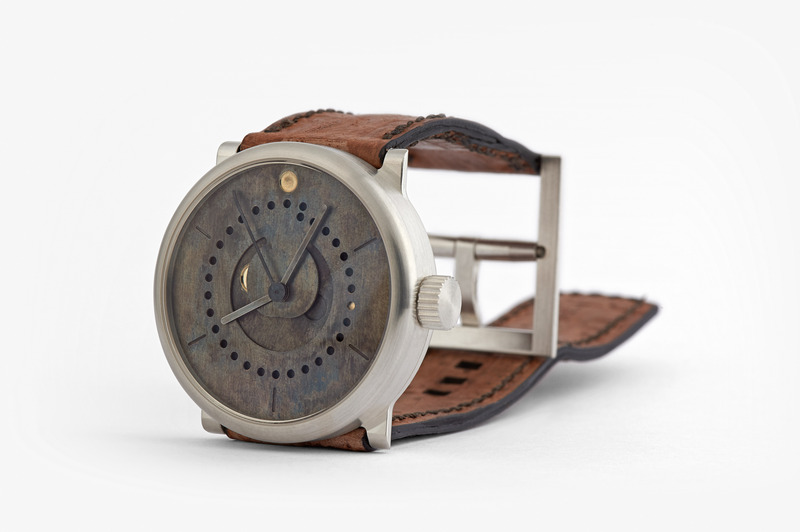 All of the functional parts are made out of patinated German silver. The sun at 12 o’clock and the full moon have been polished with elderberry wood after the patination process. The case, the screw-down crown, and the buckle are all made of sterling silver 925. 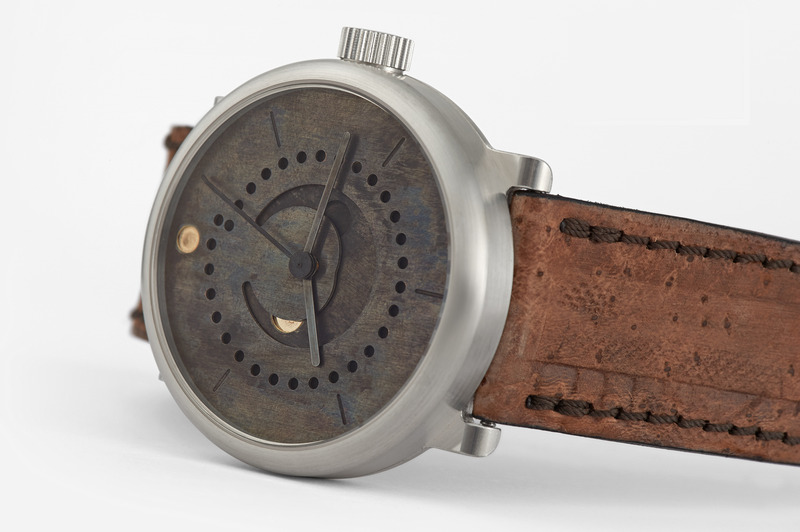 Since the strap is made of uncolored leather (sturgeon), the whole watch is made without adding any color. 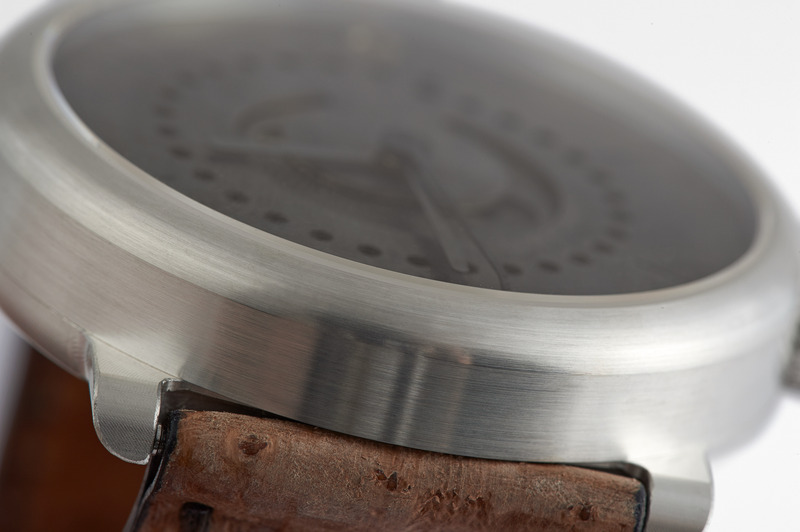 Now, this watch, too, takes its place in our company history and has been immortalized on our website.